Welcome to The Austin Space Frontier Society (ASFS) website. ASFS is a chapter of the National Space Society, and serves NSS members in central Texas. There are other NSS chapters in San Antonio and the Dallas area. The Chapter was first formed in 1977 as the UT L5 Society and reconstituted in 1981 as the Austin Space Frontier Society. It has continued under the same name after the 1987 merger of the L5 Society and the National Space Institute. We are part of region 3 of the NSS which includes Texas, Oklahoma, New Mexico, Arizona and Latin America. Our officers are John Strickland – chair, Edwin Strickland – vice-chair, and Mikhail Tushentsov – Treasurer. We do not have regularly scheduled meetings, as the Internet now keeps our members well informed as to what is happening in the space community. Our members participate in a variety of activities to support and promote the space program and commercial space. The NSS has an annual convention: the International Space Development Conference (ISDC), held in a different city each year. John Strickland is currently an NSS Director and also chair of the NSS Awards Committee. He also has frequent articles on space policy in the Space Review, NASAWatch and other space news outlets. ASFS members have participated in joint efforts with the North Texas NSS (Dallas area) such as updating the Boy Scout Manual on Space Exploration twice. Contact info for all NSS chapters is published in every issue of Ad Astra, the quarterly magazine of the NSS. 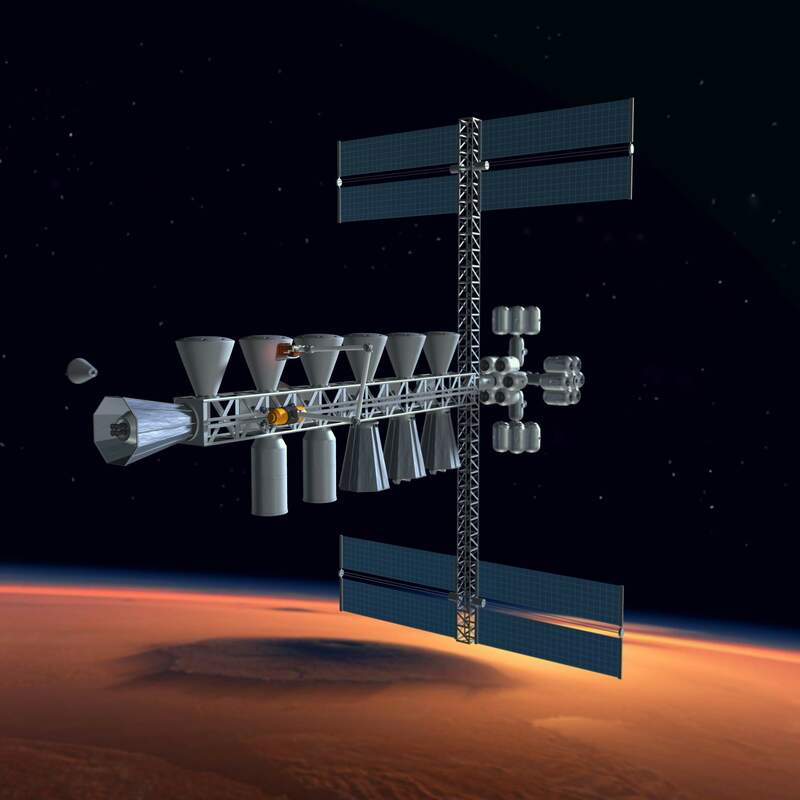 Progress in commercial space support for NASA for cargo and crew transport to the space station. Development of reusable rockets as SpaceX is now doing. The continuing political struggle over the Space Launch System. 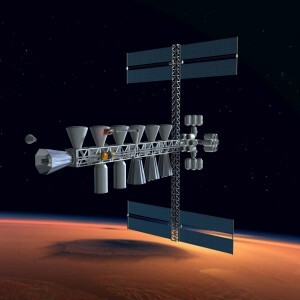 Progress in developing infrastructure in space like propellant depots to support reusable space vehicles. The general direction of NASA’s program for beyond Low Earth Orbit exploration. Funding for NASA’s unmanned space program. John Strickland and other NSS members are working with space artists like Anna Nesterova in St. Petersburg, Russia, to show what some of the new space infrastructure would look like and how it would work.